"beauty and cute," "blippo," "bottega verde porta smalto," "dinki belle nail wraps," "giveaway," "giveaway italia," "infusore tè," "makeup bag," "makeupfungiveaway," "mikyri swarowski," "pennelli wet n wild," "popin cookin"
Voglio ringraziare tutte per essere sempre mie sostenitrici! Quale miglior modo per un Giveaway? Qual è la cosa che ti piace di più? Fammelo sapere! 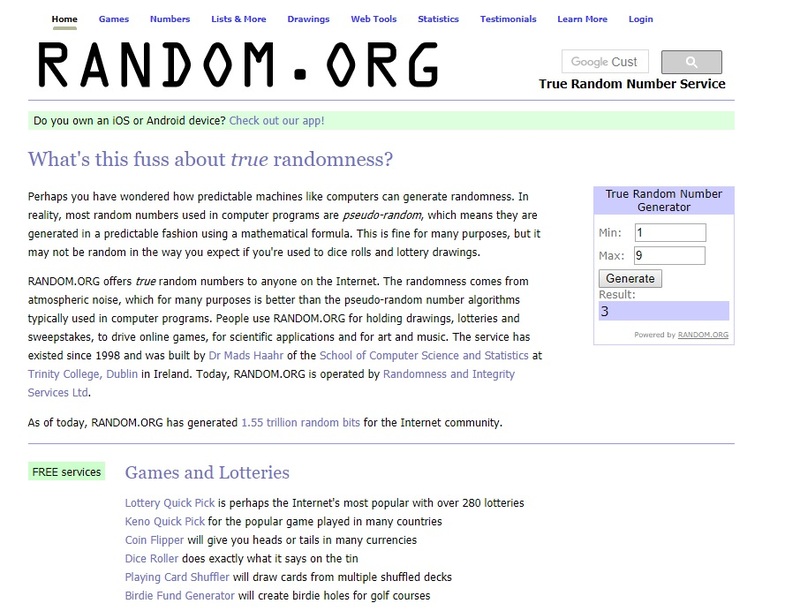 Il giveaway è valido solo per i residenti in Italia (perché altrimenti la spedizione mi costerebbe troppo). 3. 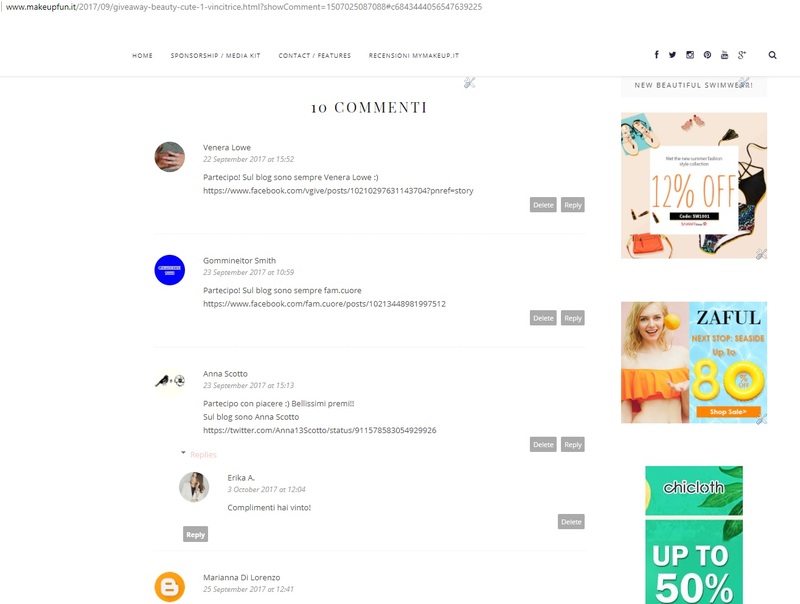 Lascia un commento a questo blog post con il tuo nome su Bloglovin ed i link di condivisione, così controllo! 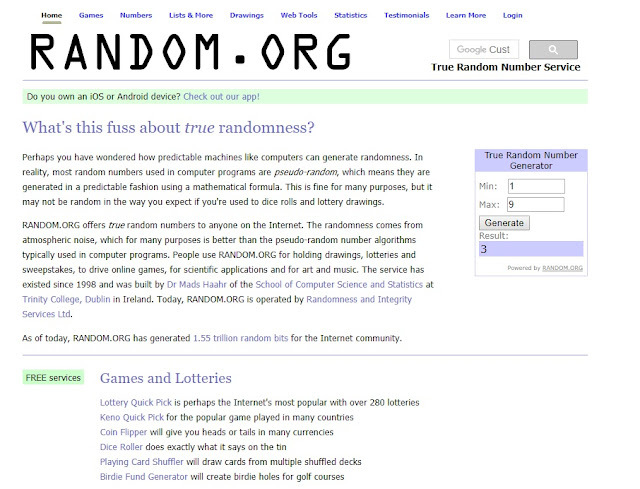 Il Giveaway terminerà il 2 Ottobre 2017 e ci sarà un'estrazione random. Complimenti ad Anna Scotto e grazie a tutti per aver partecipato! "blippo," "Blippo Surprise Kawaii Mixed Bag," "cute gadgets," "cute stationery," "giveaway," "international giveaway," "japanese stuff," "kawaii items," "review"
Fukubukuro lucky mystery bags, that's how they're called these japanese kawaii bags fillled with cute things that are super popular in Japan. If you love stuffed peluches, appetising little gadgets that look like food and surprise bags, look no further than Blippo! 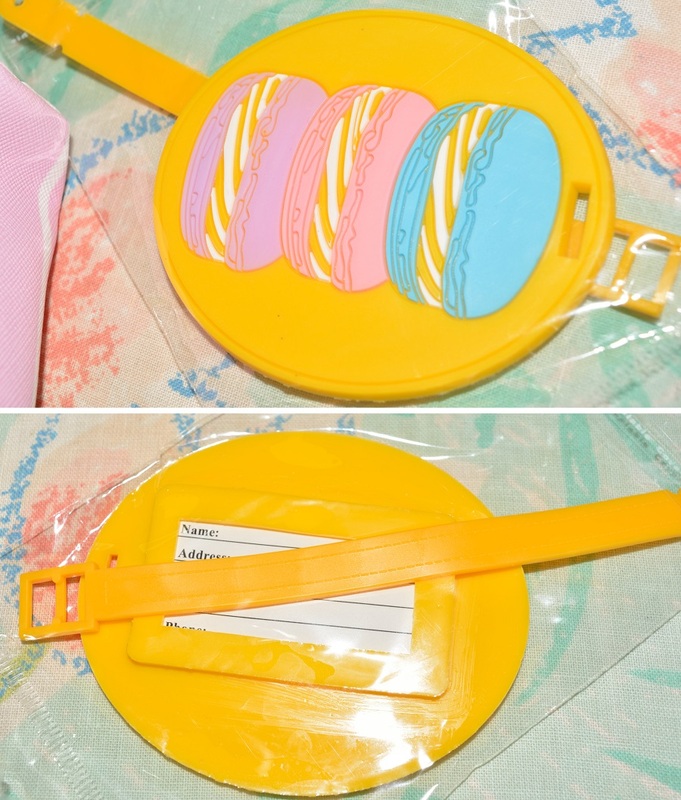 Some practical, some just cute. And you don't have to worry about subscription, cos this does not include any subscribing. Perfect as a gift for kids or more grown-ups that collect this kind of stuff around the house. 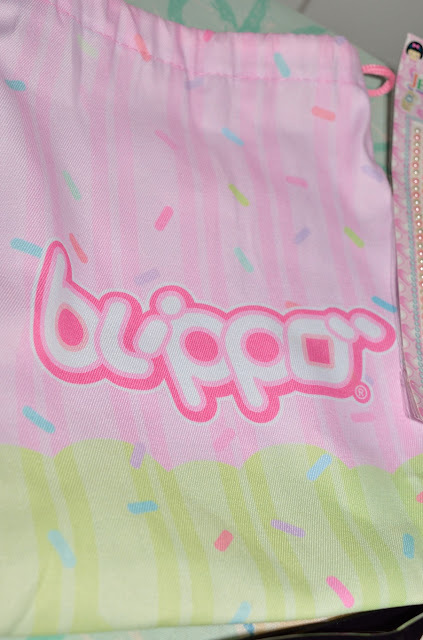 A nice thick and quite spacious bag with the colors of a sprinkled donut and the Blippo logo. Some jewelry pearls to stick to anything you want to add a girly and classy touch. 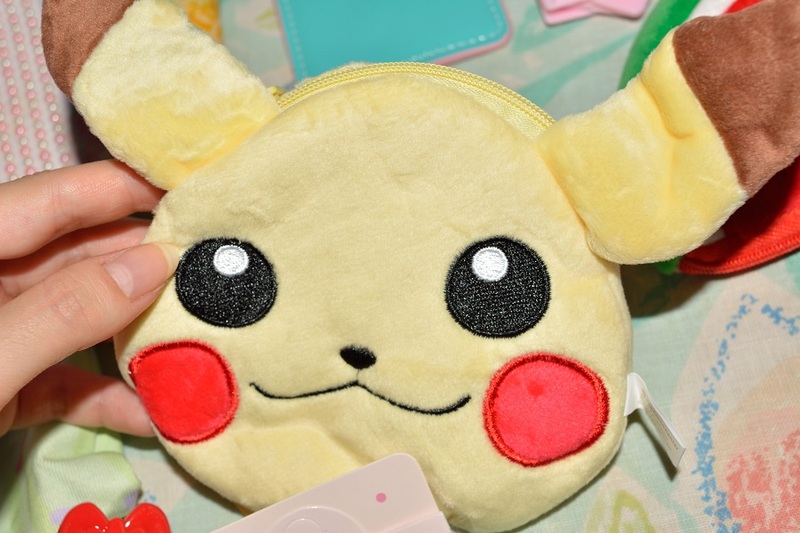 A cute Pikachu pouch to keep your coins in! A banana crépe charm and a well-made pink and tiffany colored Alpaca cardholder. 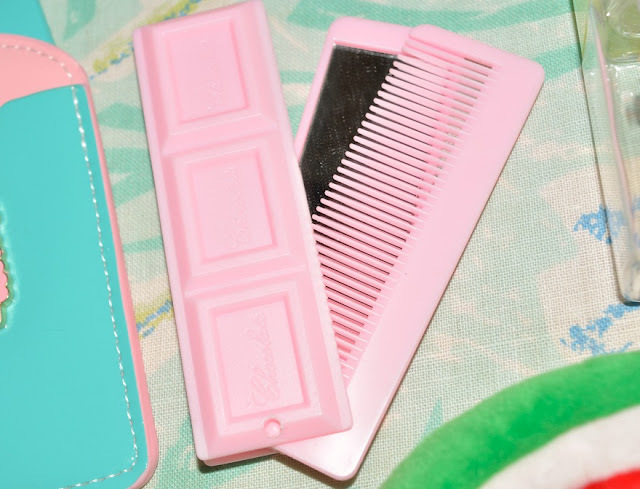 A pink chocolate bar shaped mirror with comb, perfect for traveling. 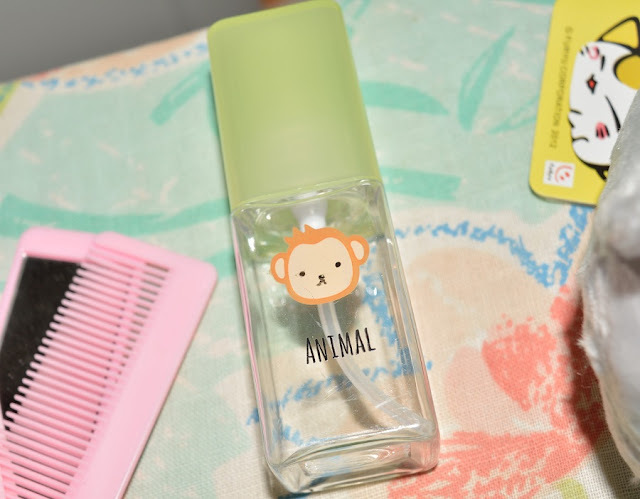 An empty spray bottle with a monkey face on it. 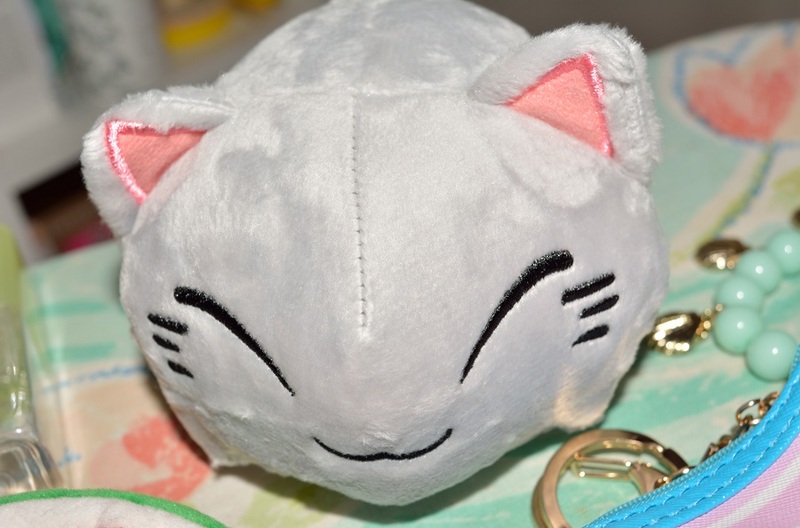 A cute grey kitty cat plushie. A very nice coin pouch again. 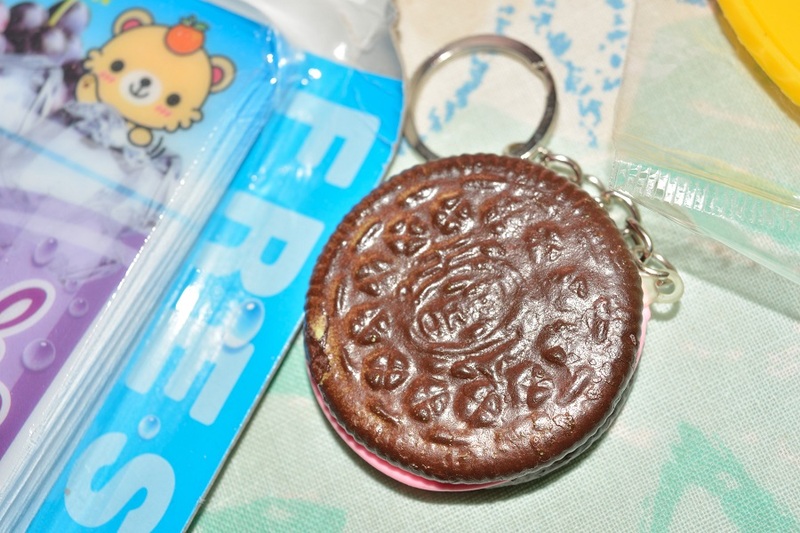 A squishy Oreo biscuit keychain. 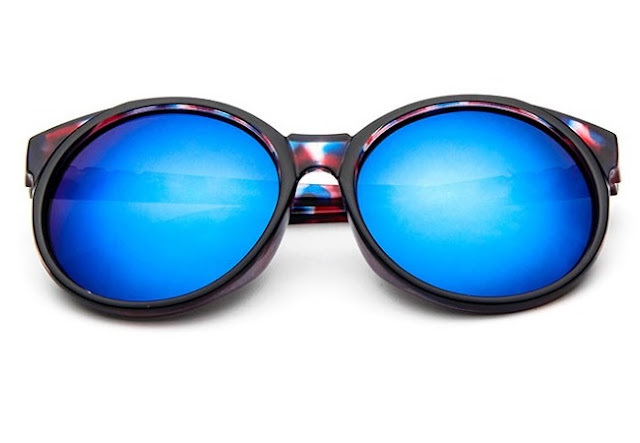 Hello Kitty framed glasses without lenses. Melon slices and cherry hairpins. 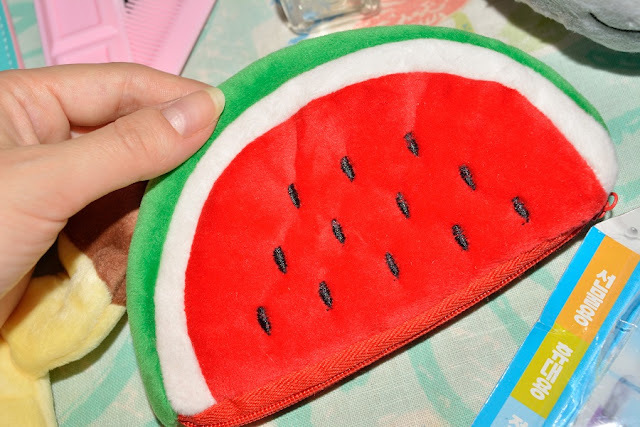 Another coin purse, this one is very soft, watermelon shaped. A summery fan with a grape juice smell, to keep the heat away while smelling a pleasant scent. 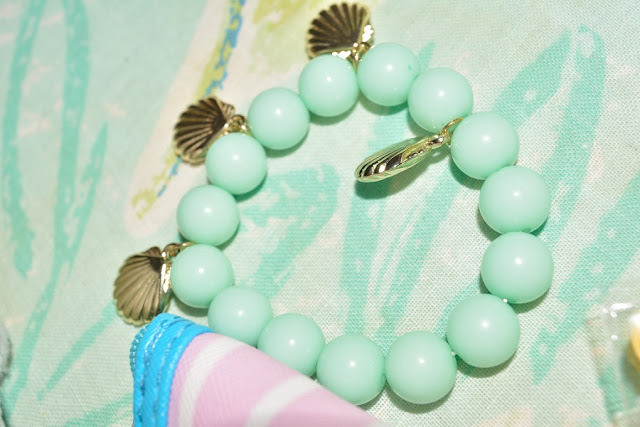 A pearly green bracelet with summer seashells charmes. Some random stuff here! I'll definitely keep a few pieces and I'll give some things to my niece. 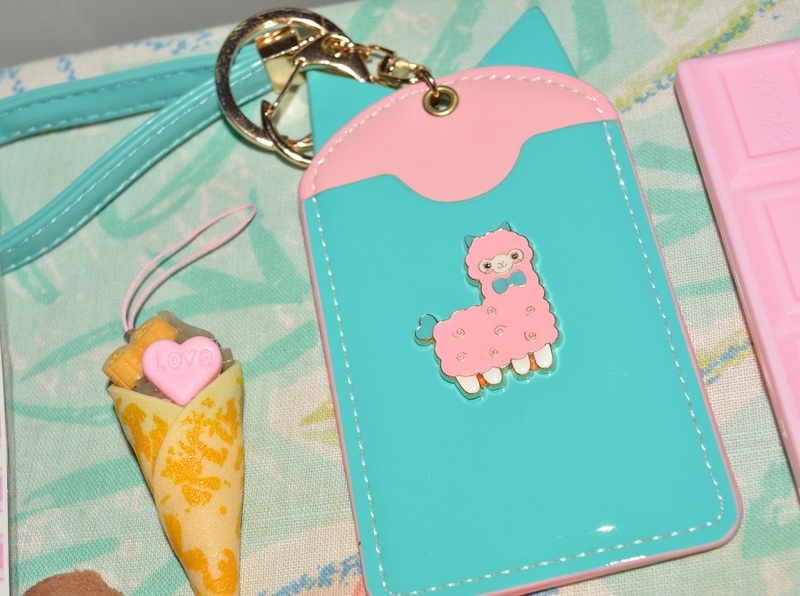 Did you like this kawaii bag? If you'd love to receive one yourself, all you have to do is enter my giveaway from the widget below. Not all the options are mandatory, however the more you do the more the chances for you to win. Spread the word with your friends and good luck! The giveaway is open Internationally and a random winner will be extracted by the company. They will ship the prize directly to the winner. You have until August 24, 2017. 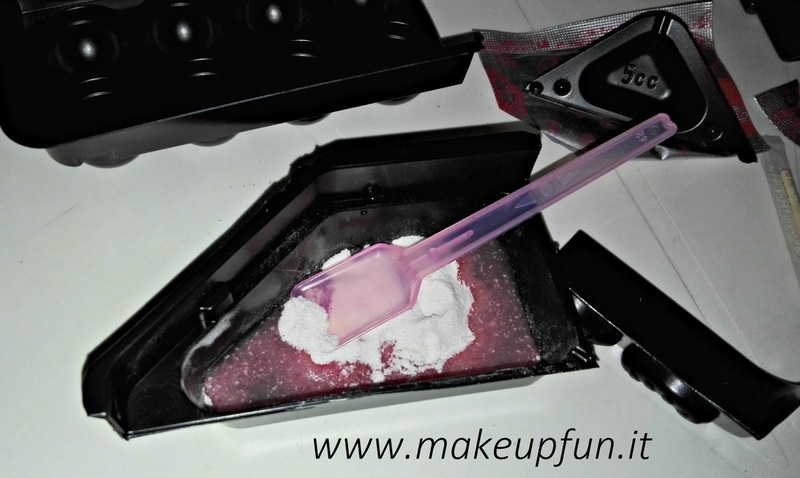 Disclaimer: I received the products for free and I like showing them on my blog. 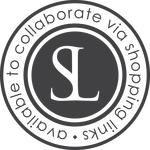 The expressed opinions are totally honest and unchanged. 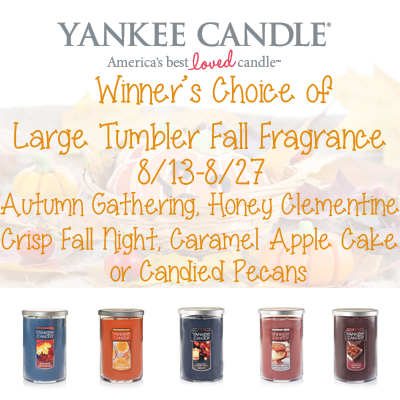 "autumn gathering," "candied pecans," "candles," "caramel apple cake," "crisp fall night," "Fall Fragrance Collection," "giveaway," "honey clementine," "large tumbler," "us only," "win a yankee candle," "yankee candle"
"free shipping," "giveaway," "international giveaway," "mens fashion," "win a piece of clothing," "womens fashion," "wsdear"
"candies," "giveaway," "japan candy box," "japancandybox," "japanese biscuits," "japanese candies," "japanese cookies," "october box," "snacks," "subscription box," "sweets," "try candies," "yummy treats"
I've had a chance to try some yummy treats from Japan and I would like to share my opinions with you! Japan Candy Box is a subscription box. 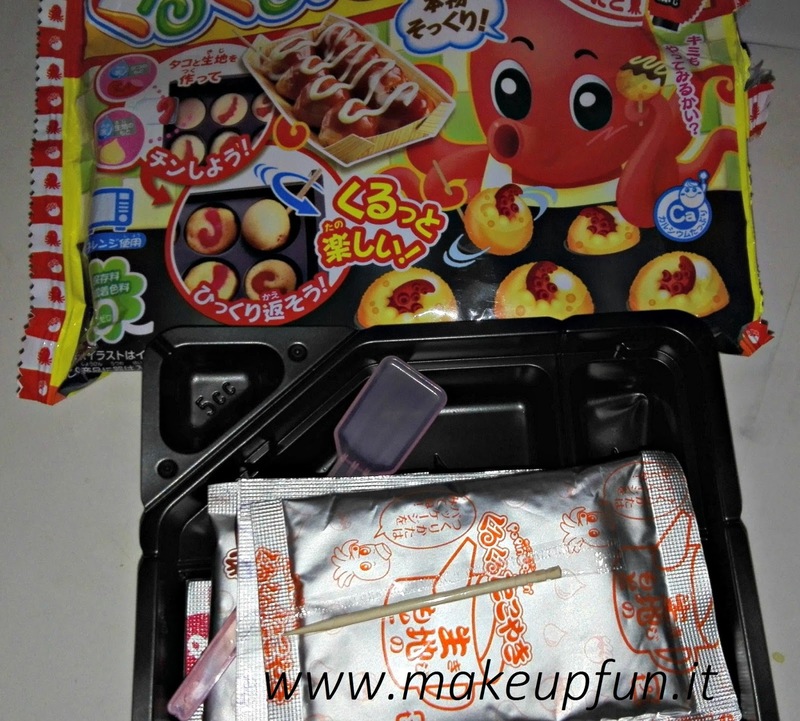 Thanks to them you can try new Japanese sweets directly in your inbox every month. 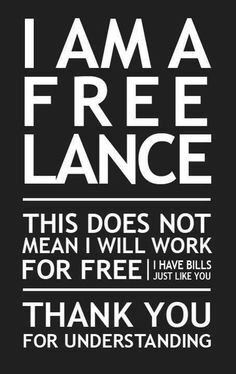 I think it's really worth it! Starting from $18.20/month. 01 Kracie Popin' Cookin' DIY Takoyaki Set. Unfortunately I don't have microwave. But I tried to do it on the pan with a lid on top... disaster! The tray is NOT heat proof... The bottom of the tray melted on the pan... So since it was still gooey I took the balls out and put them on a proper oven tray and I put it in the oven with grill function at 250 degrees and waited some minutes... then the cookies were sort of dried so I took it out. I mixed up the sauces and put them on top...on a different plate cos the plastic tray was unusable. I hope there won't be any plastic residues and that this won't hurt me... 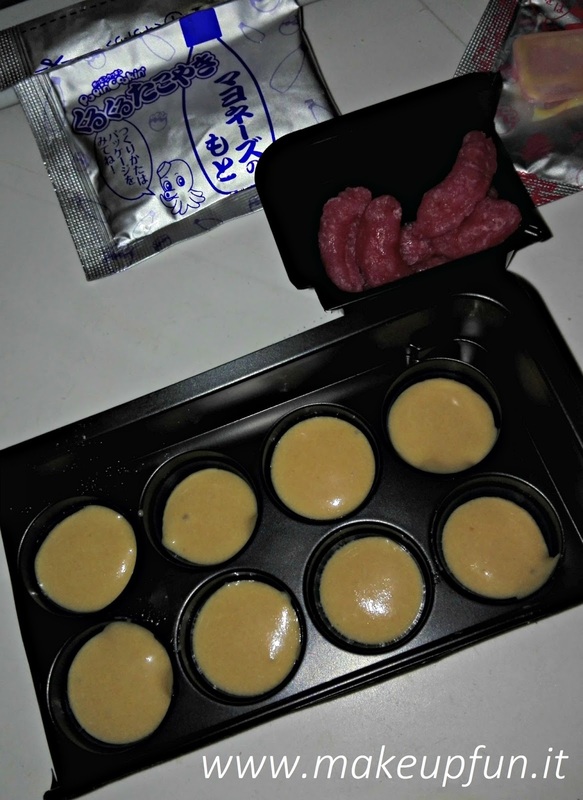 The taste is like Takoyaki. If you've never had Takoyaki it tastes like a cakey fishy thing with a little bit of oniony, maybe, flavour?!. The brown sauce tastes like barbecue sauce but a bit sweet so it is all balanced up. Overall it is nice but I'm not sure if I think it is a bit faked up (the taste I mean) or it is just in my mind because I know for sure this was all powdered? 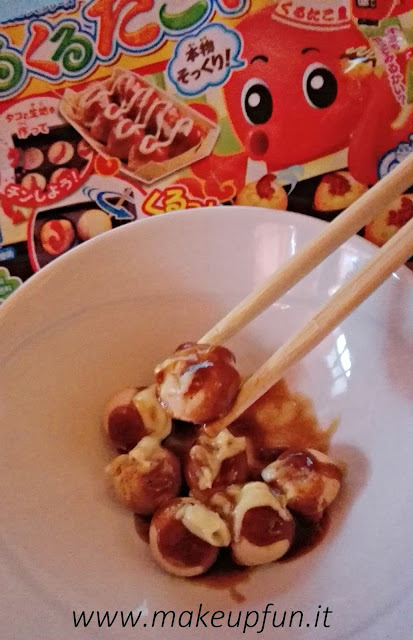 I don't know... but maybe this is one of the two things I don't particularly like about the box and that I won't try again, even if I like the real Takoyaki! Especially because of the cooking method... that you require a microwave to properly cook it, otherwise you can't make it. 02 Bourbon Petit White Chocolate Stuffed Cookies. They are nice! With bourbon the liqueur. They are small biscuits that come in a transparent box. 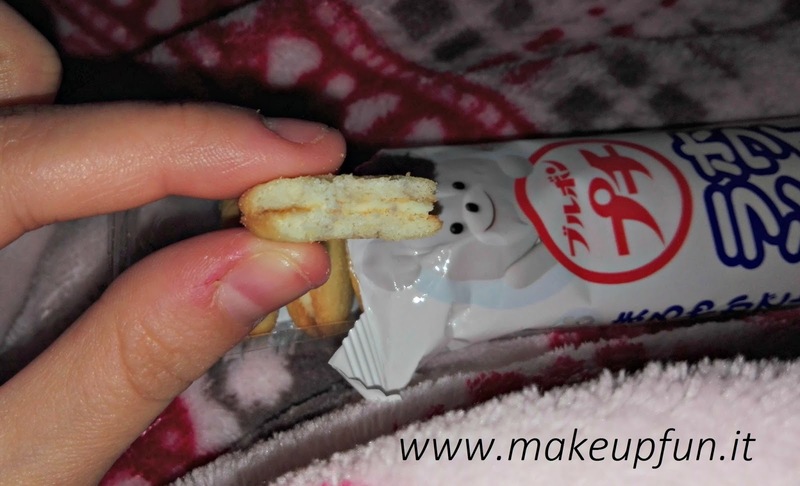 These taste more like buttery shortbread crunchy cookies and inside there is a milky cream. 03 Lotte Koala March Biscuits. Very tasty small biscuits with a printed Koala on top. 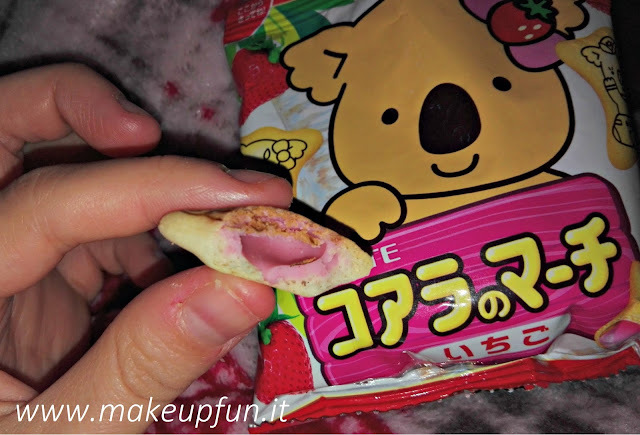 They are crunchy and they hide a strawberry cream inside. They are not too overpowering and not too sweet. 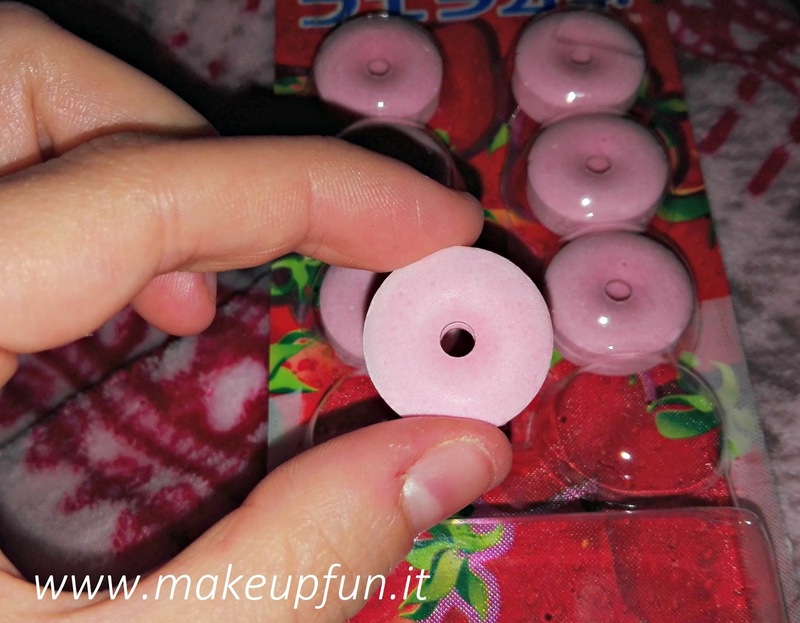 04 Coris Strawberry Whistle Candy. 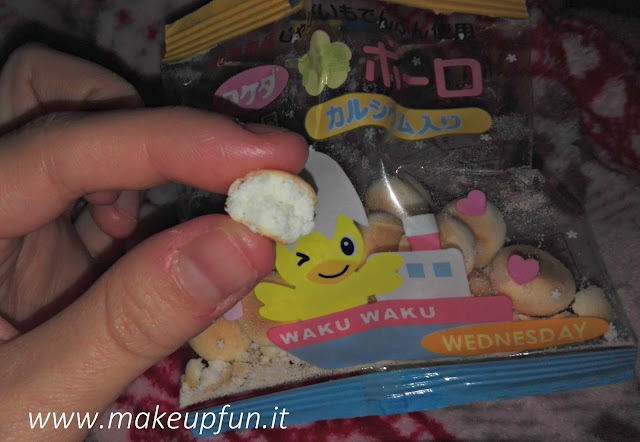 It is a crunchy candy which breaks instantly in your mouth and dissolves also pretty quickly. It seems made of powdered sugar with a light strawberry taste. I believe it is called whistle candy cos you can blow into the center hole and it whistles a little bit. 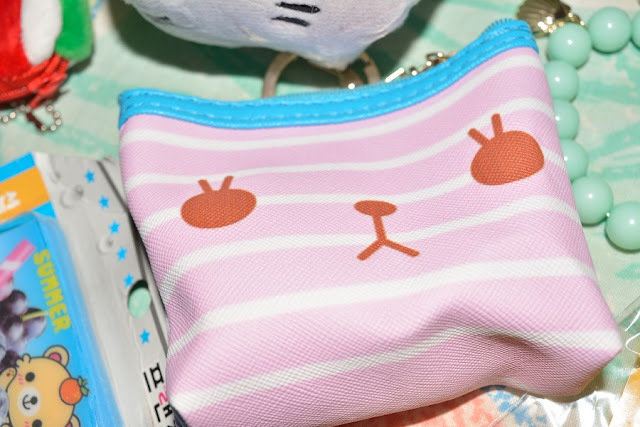 In the package there is also a small animal toy for kids! 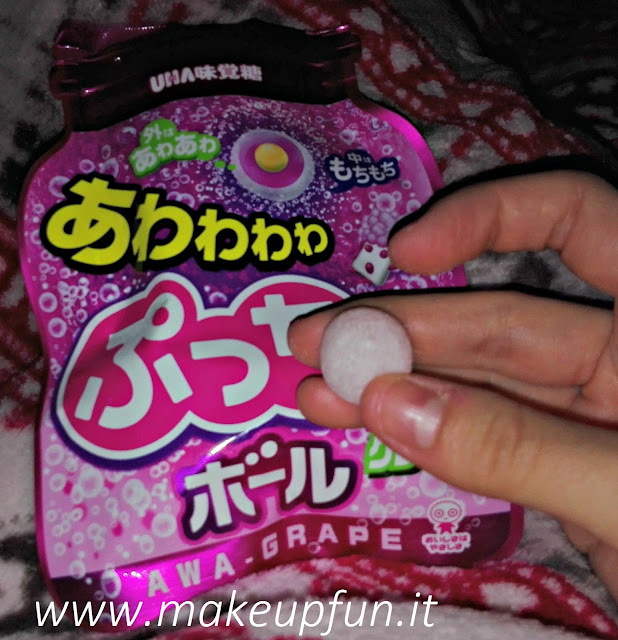 05 Puccho Awawawa Ball Candy. They are strange carbonated lemon powdered hard candy balls on the outside with the taste of grape. Once you put it in your mouth is starts to fizz and when you break it with your teeth you notice there is a softer inside which tastes like lemon and sticks on your teeth for a bit. At first it seems almost like a gum, but eventually it dissolves. 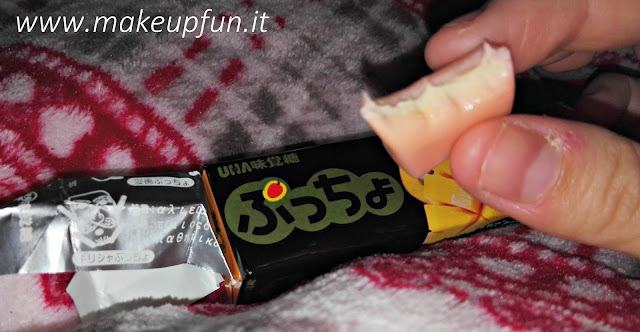 06 Puccho Mango Chewy Candy. 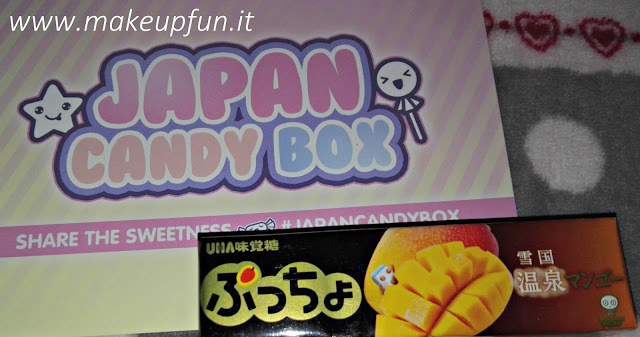 It is a package of cubed candies, that taste nicely of mango. 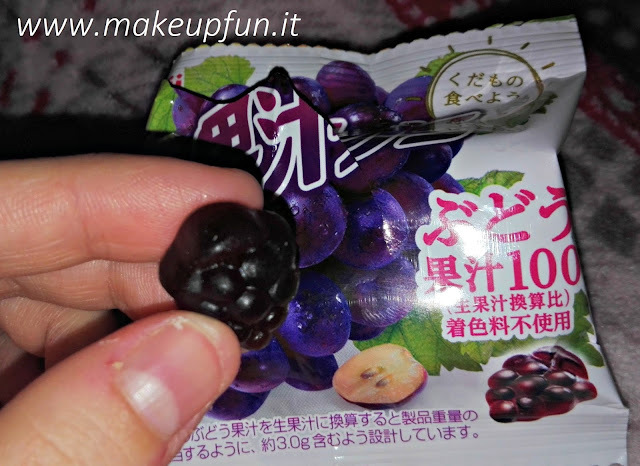 They are sticky chewy candies, like the toffy ones, but they leave a pleasant fruity taste. 07 Meiji Juice Gummies. Their consistency is like the Haribo gummy bears. They are sweet and shaped and flavoured like grapes. They dissolve in the mouth more quickly than the chewy candies. I like it. 08 Takeda Tamago Boro Egg Cookies. Eggs don't taste properly like eggs, they are little crunchy pralines made of an eggy biscuit, more like breakfast Digestive biscuits or shortbreads, but less sweetened. I think they would be perfect to be thrown on a cup of hot milk. This is the second thing I like less from the box. 09 Meiji Mini Candy Pack. 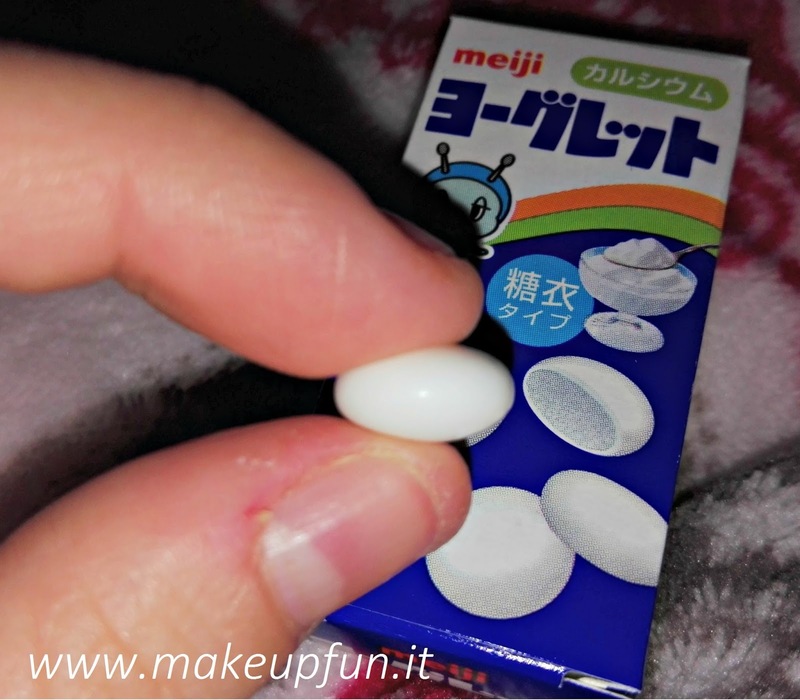 They seem like chewingums or like mints but they are little candies and taste like frozen yogurt! I actually like them very much. They finish very quickly though: they just break into tiny little pieces and disappear in your mouth. 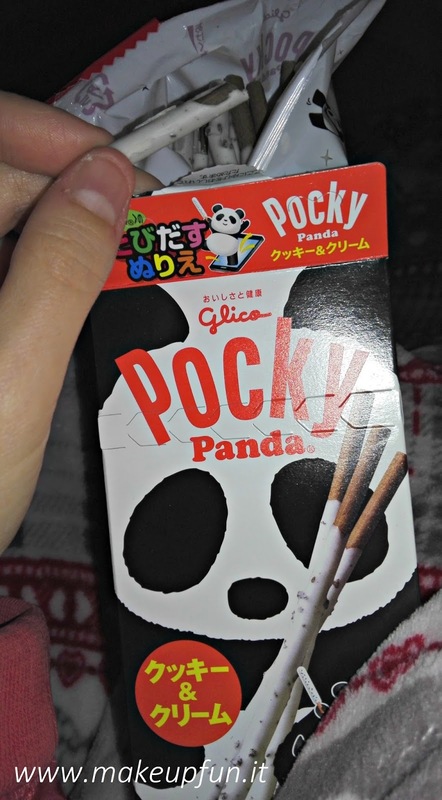 10 Pocky Panda Cookie Sticks, the best of all, tastes very good. The biscuit flavour is chocolate, coated by a layer of milky-yogurt cream. Tastes like Oreos or italian Ringos. They are similar to the Mikado sticks. Unfortunately the sticks were broken inside the package and all sticked together. 10 Nice things in total, I've enjoyed them. 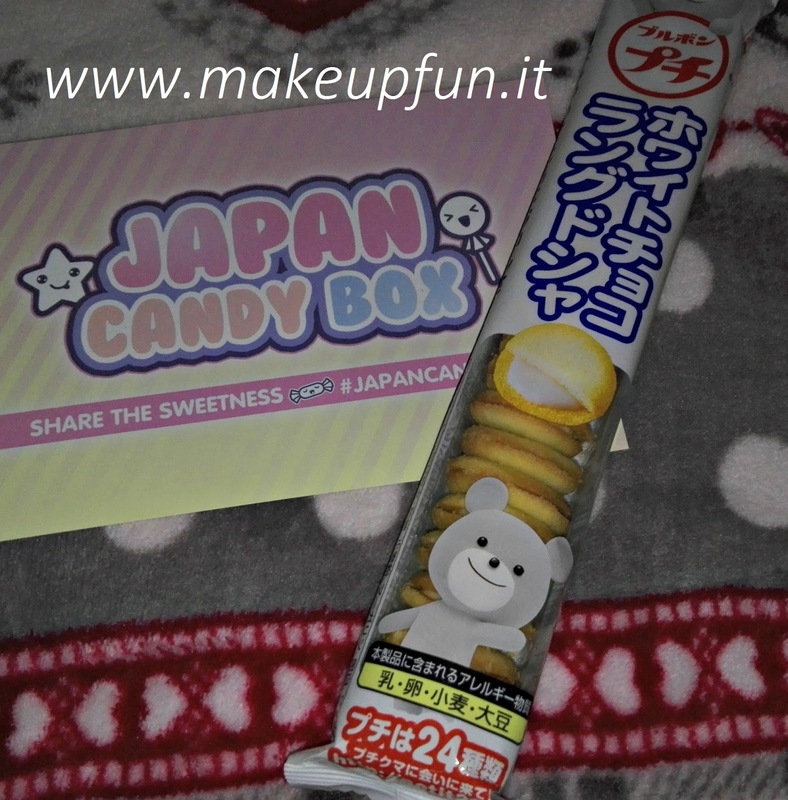 The Giveaway is a Japan Candy Box only responsibility, they will send out the prize to a random winner. 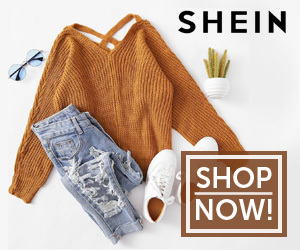 "fashion," "giveaway," "international giveaway," "jexshop," "win," "win clothing"
I announce a giveaway in cooperation with Jexshop.com, a fashion online website where you can find fabulous clothes, shoes, bags, hair wigs, jewelry and phone cases at cheap prices. 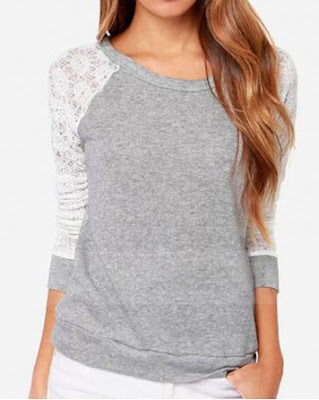 They have an extensive product range and offer always free shipping. 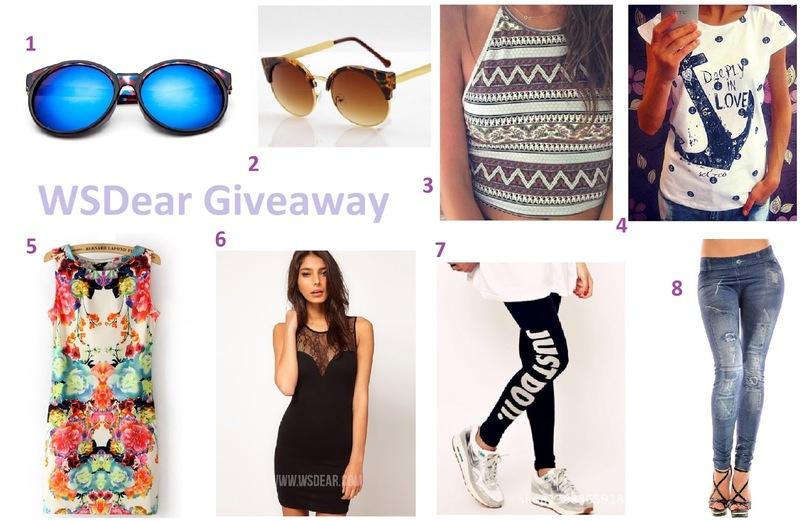 Thanks to this giveaway you can win one item ONLY from this bestselling section, not through all website. 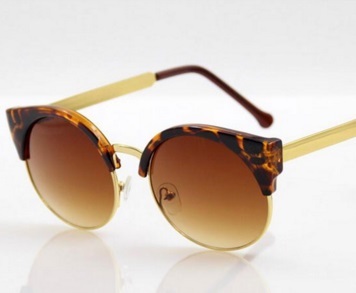 These and many more to choose from. 2. 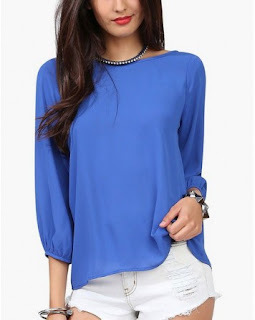 You have to leave a comment under this blog post with your favourite item from the website, for example: "I hope to win and my favourite item is http://www.jexshop.com/jexshop-bestselling/9-usd-free-shipping/Fashion-Striped-Chiffon-Women-Blouse-Multi-Color-Print-Shirts-JS32236301836"
Then state your name under which you follow me and your email to be contacted if you win. 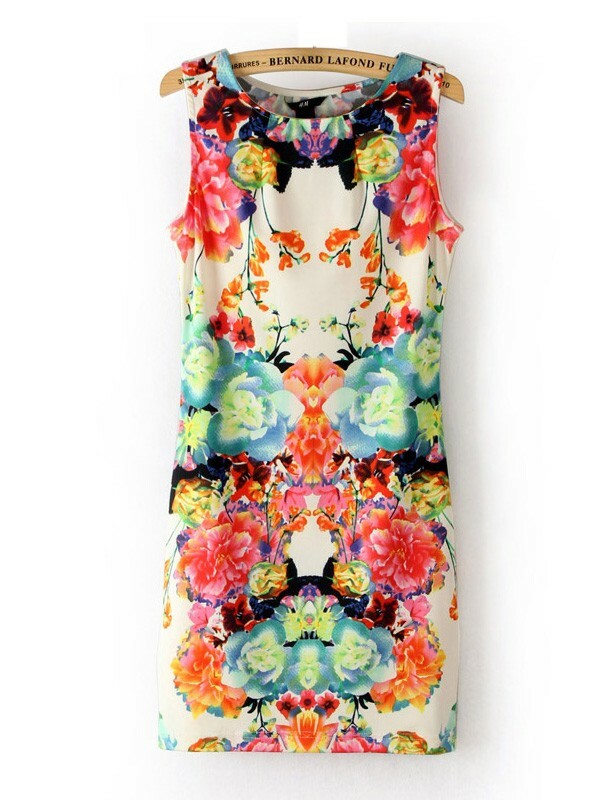 ALL ENTRIES WILL BE VERIFIED AND WHO DOESN'T SUBSCRIBE TO MY BLOG WILL BE EXCLUDED.